January 19, 2011  The New York locale that was the stage for The Great Gatsby is still one of the wealthiest places to live in the country. But it could suffer the same fate as some much less affluent places, losing control of its finances to a state-appointed board. January 18, 2011  Apple announced Monday that CEO Steve Jobs is taking another medical leave of absence. Jobs said he'll continue to be involved with major strategic decisions. Day-to-day running of the company will be left to Chief Operating Officer Tim Cook, a longtime Apple executive. January 17, 2011  Apple CEO Steve Jobs is taking a medical leave of absence from his company. In a note sent to employees, Jobs said he'll remain CEO and be involved in major decisions. Chief operating officer Tim Cook will take over Apple's day-to-day operations. January 12, 2011  Verizon announced Tuesday that it will start selling a version of the iPhone. The communications company is hoping that new and current customers will sign up for Apple's popular phone. The deal also increases competition in the smart phone market. January 11, 2011  Verizon announced Tuesday that it will begin selling Apple's iPhone early next month. The move is expected to draw millions of iPhone users away from the AT&T network. Verizon says it is ready for the increased demand on its network, but some analysts are skeptical. January 7, 2011  The December jobs report out this morning presents a confusing picture: Job creation was weaker than expected, but the unemployment rate fell sharply to 9.4 percent. January 3, 2011  Privately held Facebook has apparently scored a big investment. The New York Times reports that Goldman Sachs and a Russian firm have put together a $500 million investment that values the social networking site at $50 billion. December 22, 2010  New York Attorney General Andrew Cuomo filed fraud charges against the accounting firm Ernst & Young Tuesday. Cuomo's suit accuses the firm of helping Lehman Brothers conceal its deteriorating financial condition from investors. December 18, 2010  The trustee managing the liquidation of Bernie Madoff's investment firm will have an additional $7.2 billion to distribute to victims of Madoff's Ponzi scheme. That's after Friday's settlement with the estate of one of Madoff's biggest investors, a man who withdrew billions of dollars from Madoff funds before the collapse. December 17, 2010  Victims of Bernie Madoff's Ponzi scheme scored a major victory Friday. The estate of one of Madoff's biggest investors agreed to return $7.2 billion that had been withdrawn from Madoff funds before the collapse. The money will be used to compensate investors who lost an estimated $20 billion. December 15, 2010  Six years ago, retired cosmetics executive Mark Goldsmith got involved in a nonprofit that encourages New York civic leaders to volunteer in schools. But instead of going to a school, he went to a prison. Now Goldsmith runs a nonprofit that helps inmates at Rikers Island prison ace job interviews -- and go after their dreams. 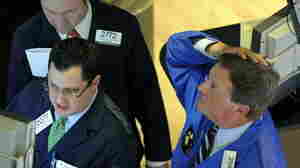 December 10, 2010  Ben Bernanke's Federal Reserve seems to be on a collision course with one of its sharpest critics. Texas Republican Ron Paul, author of End the Fed, will take control of the House subcommittee that oversees the Fed when Congress reconvenes in January. December 6, 2010  Federal Reserve Chairman Ben Bernanke appeared on 60 Minutes on Sunday to defend the Fed's efforts to revive the economy. He said the Fed would do more in the future if it has to and rejected the notion the Fed is simply printing money and will eventually reignite inflation.